Valentine's day come and gone .... ! Wow! Totally missed a post in-between. Happy belated St Valentines day! I do hope you had a wonderful day of love. I noticed I neglected to post a picture of the outcome of all those little red squares! Voila! The pattern is called My Twisted Heart by Primitive Gatherings. You will need the Itty Bitty Primitive Pinwheels ruler to make this. I just love how it turned out. On another Valentine's note. 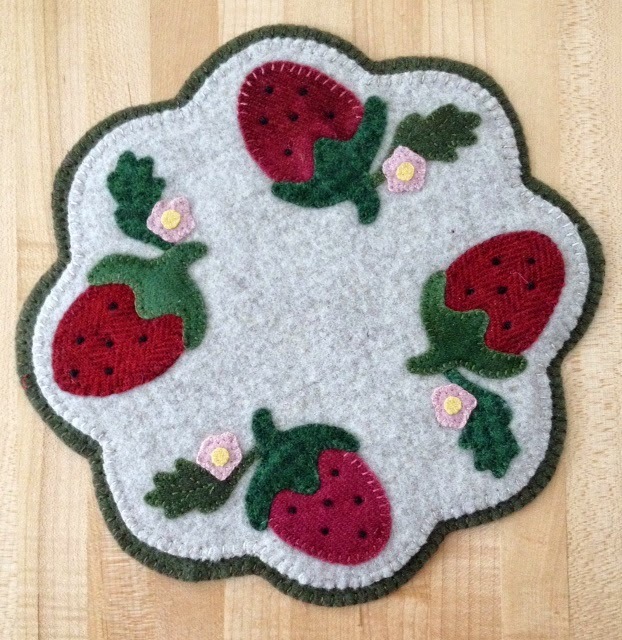 I completed a wool table topper! Heat of Mine by The Little Red Hen! Love how it turned out! There are some projects that you start and cannot wait to finish and there are those that just take time. This one was one of those projects that I had to finish right away. Focus ... Focus ... Focus ... SQUIRREL ...! Sure I've been focused, that is until the UPS delivery man brought a package containing these kits from Moda ... Modern Building Blocks .... what a beauty! You all know how I've been hankering to make a quilt using only solids, well this is it folks! OMG, it's stunning. Started working on Block Un on Friday and voila! That block is gigantic! It's a quilt in itself! I will confess ... in my 17 years of quilting I have never made a quilt block this huge. It ain't easy sister! I was sweating my points! But, all and all, it turned out fine. Last night I worked on Block Deux. The last of the gigantic blocks! On the UFO issue, I did complete the Lilies for Connie quilt top. I will need to schedule a date with Penelope soon. I do have a small stack of quilts that need machine quilting. Here in as far Northeast as you can get .... I can see Canada from my house.... it's a snow day! We are enjoying a gorgeous snow fall .... light and fluffy! It has to be, it a sweltering 3F (-16C). It's a perfect day to be in my sanctuary! Enjoy your day everyone! You know where you'll find me! Cheers! 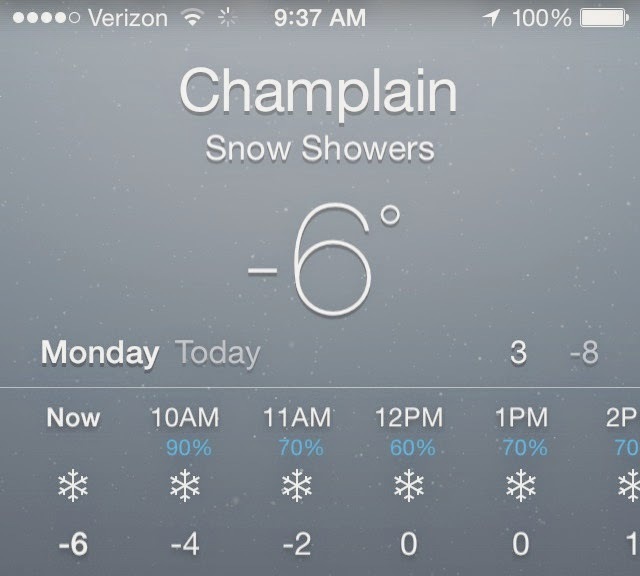 That, my Celsius friends, is a mere -22C. Went outside this morning to take care of my wild birds and brrrrr, I couldn't wait to get back in. Despite the harsh cold, it is beautiful out there. We are enjoying a lovely snow storm. Light and fluffy! On the quilting front, I continue to work on those UFO lists. I crossed off this little wool project from my 2013 list. The pattern is Penny Rugs Through the Year - June by Buttermilk Basin. Yesterday I sewed all day, something I have not done in a long time. I managed to get these blocks completed. The pieces for this quilt were cut back in November 2014. 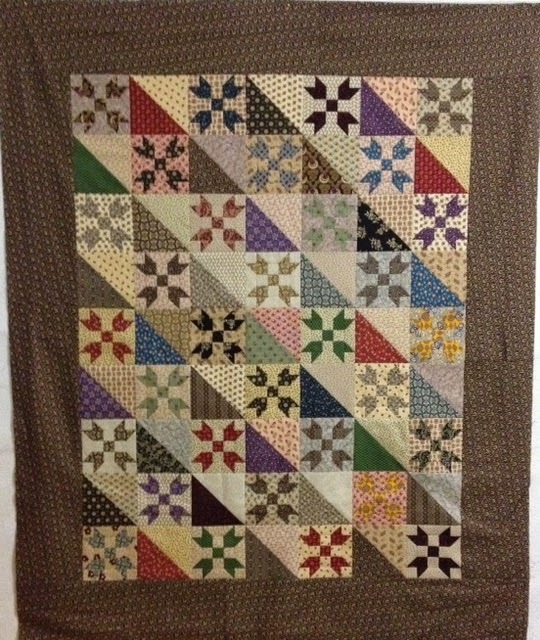 The pattern is called Lilies for Connie from the book Civil War Legacies II by Carol Hopkins. Maybe today I'll work on piecing the top. Keep well everyone. Thank you for stopping by my littler corner in cyberspace! Cheers!